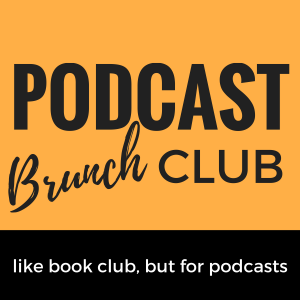 I’m so pleased to present the first Podcast Brunch Club Takeover. Ms. Barrett’s junior- and senior-level sociology class at Berthoud High School in Colorado have chosen to look to the future and explore the theme of THE WORLD WE’RE INHERITING. Ms. Barrett’s class was our first high school PBC chapter. Over the course of the semester they took part in a couple of lively discussions around various PBC themes. This month, as part of their final project, they chose the PBC theme and episodes and Ms. Barrett provided the following description. I cannot express how grateful I am to Ms. Barrett and her students for pulling this together so beautifully. If these students are a window into the future, I am very optimistic for the world these soon-to-be adults will be inheriting. I hope we can do more like this in the future. As Adela has mentioned and as you may have seen on the PBC Facebook group or Twitter, this month’s listening list is the product of a “PBC takeover” by my high school Sociology class. This semester we learned about society and how it affects our behavior. We also held PBC gatherings twice and related the listenings to our coursework (I would have liked to had more meetings but a badly broken ankle put me off my game a bit this semester). Beyond being a way to discuss the content’s relationship to the real world, this was an important foray into the practice of simply talking with one another, sharing observations without judgement, and civil discourse. 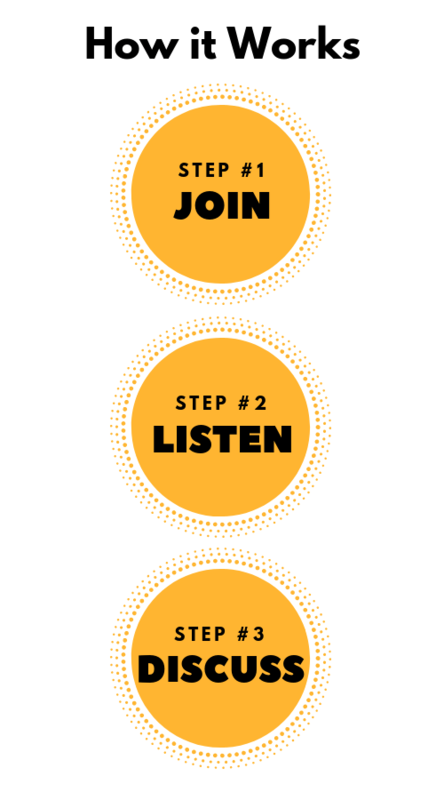 As a final project student groups were assigned various social “institutions” to study, and chose a podcast for the class to listen to and discuss. The discussion related to the assigned institution and what kind of world the adults of today are handing down to these students. In my class we learn about social institutions sort of as “walls” – we don’t necessarily always notice them there in the background, but most of the events in our lives we do remember, those “snapshot” moments, hang on those walls and are supported by them. 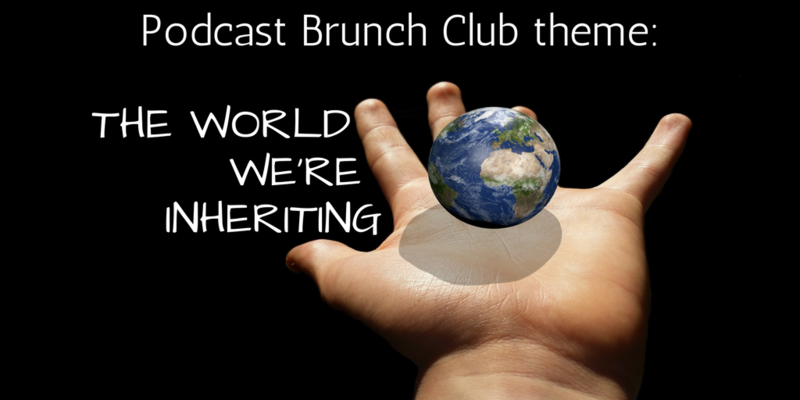 “The World We’re Inheriting” is an appropriate topic as a new year dawns and people often resolve to do one thing or another or spend time reflecting on where their life might be headed. Of the six institutions we studied and discussed, students voted on the following three podcast episodes as most reflective of what weighs on their minds about the future. These podcasts all explore what “now” is like, while the students focused on what “will/could be” due to those truths. Although somewhat disparate in terms of the typical themes for PBC, I am proud of what the students were able to accomplish with this and what they learned overall about the vast and valuable world of podcasts. Oh, and as a side note, Adela deserves a huge amount of credit for curating such great lists…mining that vast and valuable world was not an easy task for my students. We hope these podcasts will also lead your groups to discuss where our world is headed and how these institutions influence our actions and relationships. This Radiolab episode explores how new gene editing technology came about and speculates a little on its long-term possibilities. Part of what caught the ear of the students about this podcast was its use of a little bad language and a common piece of slang they often employ at the beginning. But, that little hook turned into so much more as students discussed and debated what gene editing might mean for the future, and society itself. One student even made a connection to a previous topic we had discussed, that of “Tabula Rasa” – the idea that we are born as “blank slates” and that knowledge comes from experience and perception. The students discussed how gene editing plays into that idea by writing permanently on parts of our “blank slates” depending on what we discover is genetic. Students in the group also asked each other how they would feel if they found out the genes of someone they knew were edited to modify what a person is born able to do or be. Interestingly, whether or not this should be something that is done at all was not really a part of the discussion; students seemed to accept that science will plow forward regardless. In this episode of The New Family Podcast, host Brandie Weikle explores the experience of being a single parent and then combining two families through an interview with her friend Amanda Lee. This is not really the type of podcast I’ve experienced so far with PBC, but once the group located it they really wanted to talk with their peers about its implications. The way single parenting and blended families are discussed in this podcast led students to one of the most meaningful discussions I’ve witnessed. They discussed how seeing their parents divorce, live on their own, and remarry has affected their perception of relationships not only with those parents but myriad siblings they may have gained (and sometimes lost) over their young lives. I even had a strange opportunity to contribute as my father recently began dating again, 20 years after my mother’s passing; for the first time I’m experiencing something many of them are very accustomed to. Given that students are inheriting the divorce rate they are, reflections on their desire to marry or have children followed; I encourage everyone to listen to this interview with that in mind…what our relationships may be showing others. This episode of the British version of Intelligence Squared aired in 2013 as part of a series they did on a variety of aspects of religion. This group was interested in sharing this podcast for a couple of reasons: first, the idea of how people treat each other is something that is very important to them and the group seemed to agree that the institution of religion plays a role in that. Second, students don’t often have the opportunity to speak among a diverse group of peers as part of a classroom assignment about this topic and they were eager to do so even though they didn’t all share the same beliefs. Discussion here did focus on the purpose religion serves and how their world may continue to change if the trend the host identifies continues. Students wondered aloud how their interactions might be different if believing in a higher power was more widely shared among them, or if the basic ideas of being good to one another could come from a source outside of religion. The question of purpose at all and what we strive for in life also became an interesting discussion thread, as well as how the future might be affected by choosing to be vehement about something; the students were very intrigued by the sheer passion the participants in the debate exhibited. What do you think “family” will look like in the future? How do you think your parents’ relationship with each other has shaped your own relationships or your idea of what a relationship should be? How do you feel in general about gene editing: scary or wonderful or both? Would you use gene editing to design your own baby? How do you think gene editing can affect the human race as a whole? What do you think organized religion will look like in 100 years? How will it be the same as today? How will it be different? Do you believe that people need religion even if they don’t believe in a higher power? Do you think people can believe in a higher power without having religion? I agree, kudos to Adela for putting this all together! This month & every month!